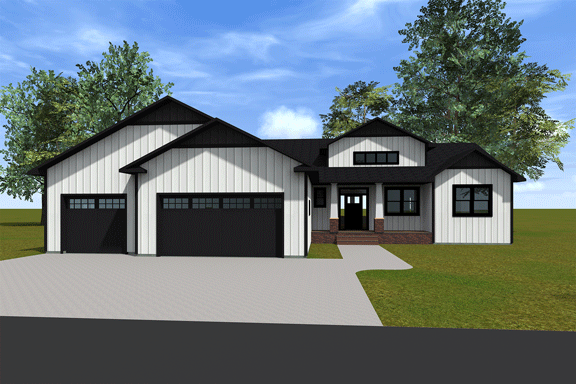 Check out our brand-new rambler floorplan! This home features an open main-floor layout including a great room with a huge, vaulted beam ceiling. It is completely finished with 5 bedrooms and 3.5 baths. Don’t miss the sport court in the basement! It’s perfect for our long North Dakota winters. The yard is finished with a patio, sod and sprinklers.